Vanessa Alvarez-Valentin has a total of 9 years of paralegal and legal assistant experience at various immigration law firms in the Philadelphia area. In 2009, Vanessa earned her Bachelor of Arts degree from Temple University in Philadelphia, Pennsylvania, where she majored in Criminal Justice and Religion. Vanessa joined the Law Offices of Elaine Cheung in April of 2011 as a paralegal. 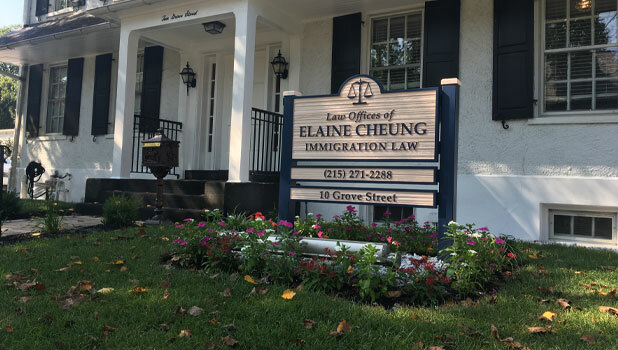 Vanessa has been diligently working here ever since, and now specializes in immigrant visas, family based petitions, and court filings for removal proceedings. Her proficiency in English and Spanish, dedication, work ethic and professionalism, have earned the respect of her colleagues, and made her a true asset to the firm. Waleska Rosario has been a paralegal at the Law Offices of Elaine Cheung since its establishment in 2010. Waleska is fluent in Spanish, and she has over five years of experience in the field of immigration law. Her areas of expertise include family based petitions and naturalization applications. In addition to working at the Law Offices Of Elaine Cheung, Waleska is studying justice at the Community College of Philadelphia. Waleska’s years of expertise and dedication to her clients make her a true asset to the firm. Helen Cardoso joined the law firm in August 2017. First as a receptionist and promoted to our legal assistant. She graduated with honors from Rowan University with a Bachelor of Science in Psychological Sciences. Her skill area include work authorization permits, and family based petitions. Helen is proficient in Spanish and English. As a child of immigrant parents, she is passionate in helping our clients.